Your driver’s license or a valid state photo I.D. Interest and fees may vary. 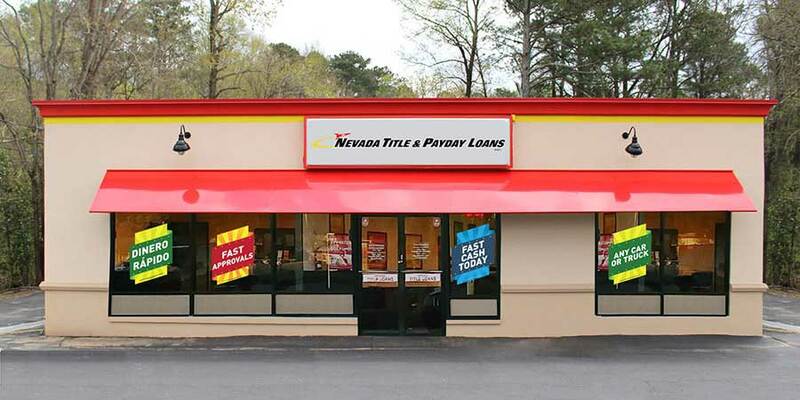 For more information, please contact your local Nevada Title and Payday Loans, Inc. representative. Nevada Title and Payday Loans, Inc. will check your credit before approving you for a signature installment loan. For complete details, please check with your local Nevada Title and Payday Loans, Inc. lender. No. You must provide a driver's license or a valid state-issued ID to qualify for a signature installment loan. No. At Nevada Title and Payday Loans, Inc. you are not required to provide collateral for a signature installment loan. Signature installment loan frequency terms and regulations may vary. Please check with your local Nevada Title and Payday Loans, Inc. lender for more information. To get started, simply fill out our online request form. You will be contacted by a Nevada Title and Payday Loans, Inc. representative shortly after to verify your information and help get you started. Yes. Nevada Title and Payday Loans, Inc. will check your credit.